The Isuzu Eiger has all the benefits of the Utility but with additional features to make your working day go that much easier. With manual or automatic transmissions, reversing camera and height adjustable driver’s seat and all the features that are found as standard on the Utility the Isuzu D-Max Eiger makes light of hard work. The top features on this model are the chrome door mirrors and handles, 16” alloy wheels, power windows, remote control central locking, manual air conditioning, hill assist and hill descent control that helps negotiate hills smoothly and safely, alarm, reversing camera, RDS radio with CD player and 6 speakers (2 x front door, 2 x rear door and 2 x tweeters), Bluetooth connectivity and front and rear USB ports. It comes in 8 colours, splash white, titanium silver metallic, galena grey, obsidian grey, red, blue, and cosmic black. The Isuzu D-Max is capable of over 40.4MPG combined and meets Euro 6 emissions standards without the need for AdBlue. The Isuzu D-Max range comes with Industry leading 125,000mile/5 Year warranty whichever comes first. Every 4×4 model in the Isuzu D-Max range is able to tow the legal maximum of 3.5 tonnes. 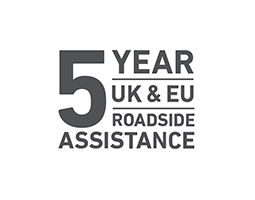 Also included is 5 Years roadside assistance which applies in the UK and across Europe. (6.9 - 5.6). Combined 36.2 - 45.6 (7.8 - 6.2). CO2 emissions 163 - 205g/km. *3.5 tonne towing applies to all 4x4 models. 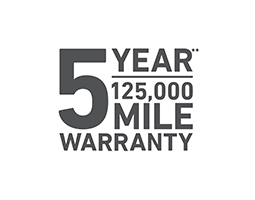 **125,000 mile/5-year (whichever comes first) warranty applies to all new Isuzu D-Max models. Terms and conditions apply.